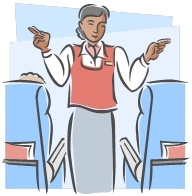 In-Flight Safety…Time To Man U(p)! So this week’s travels found me in Turkey for the first time. And this little sojourn also yielded my first association with the best airline in Europe, Turkish Airlines. Normally the airline experience is all much of a much-ness for me. The pre-boarding is usually long-winded and inconvenient – what with the cursory strip and scan required by security – and the comfort once on-board is measured in a matter of millimetres. And on the face of it, Turkish Airlines, was to be no different. Until, that is, they screened their in-flight safety video. You may think it a bit ridiculous, those boys from Man U playing silly buggars with safety on-board, but let me tell you, it was the first on-board safety video I’ve watched in a long time. And let’s face it, a little mile-high giggle can never be a bad thing, right? This entry was posted in A Traveller's Life, Expat moments, laugh out loud and tagged Turkey, Turkish Airlines by Kym Hamer. Bookmark the permalink. Welcome to Turkey! It must be difficult to get passengers to take notice of the flight safety drill. My favourite is Pegasus. They use kids and it's very cute.